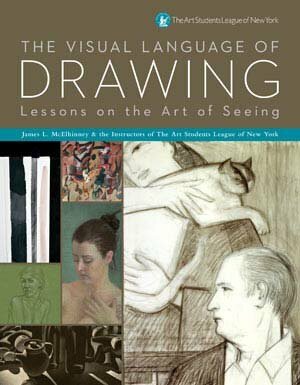 The Visual Language of Drawing is an insightful book that looks at the approaches and methodology to drawing. The highlight of the book are the interviews with 15 current and former instructors at the Art Students League, one of the oldest art schools in USA, in operation since 1875. It's not a how-to book but more of a why-is-it-done-that-way kind of book. The art instructors talk about what drawing means to them, the importance of drawing, and using drawings to convey certain ideas to the viewer. The more insightful part is when they talk about the rational behind the art lessons and assignment they give to students. They talk about the techniques, the ideas behind conceptualising, some of the problems students face, and more. The interviews are quite lengthy and it probably will take several sittings to finish it. But it's a book where you can pick up and flip to any page to start reading again. Right at the back of the book is a helpful list of 29 drawing concepts to think about when coming up with your own piece of art. Good book for those who want to delve into the deeper meaning of drawing.